The « Macromolecular Engineering and Architectures » team (IAM) is one of the 11 teams constituting the Charles Gerhardt Institute of Montpellier (ICGM – UMR5253) and it belongs to the department “Molecular and Macromolecular Chemistry”. It is composed of about 50 people among which 16 researchers, assistant professors and professors, 11 technicians, engineers and administrative people, and around twenty PhD students and post-docs. 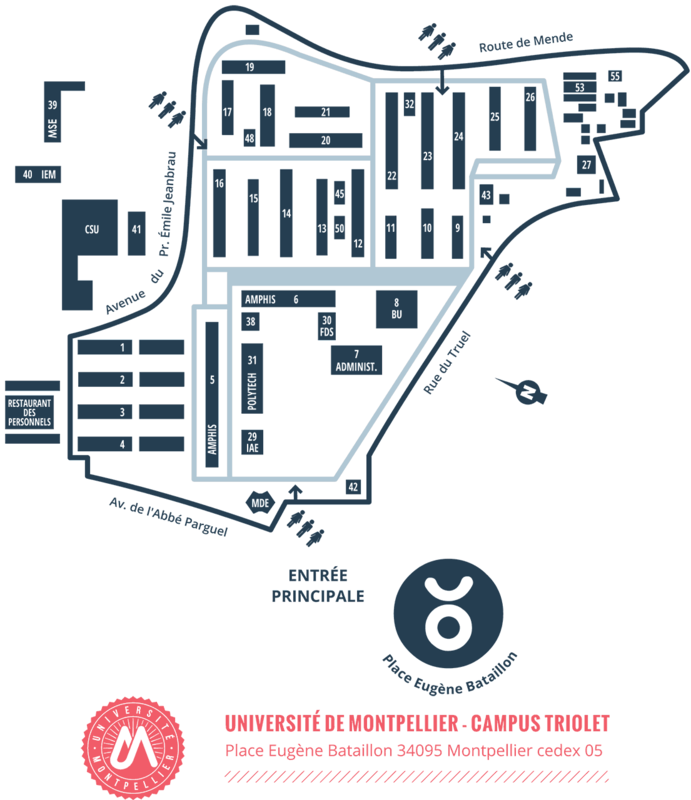 The team is located on 2 sites situated respectively at the National School of Chemistry of Montpellier (8 rue de l’Ecole Normale) and at the University of Montpellier (Triolet site, Place E. Bataillon, buildings 17 and 15). Courses are taught by the team members at both institutions (ENSCM and UM). For the graduate research training, the IAM team is linked to the Doctoral School “Balard Chemical Sciences” (ED459). IAM team has created the European chair of chemistry for a sustainable development (ChemSud). IAM team is also one of the team of the Balard Chemistry Cluster with the label “Carnot Institute” (Carnot Chimie Balard Cirimat). The members of the IAM team « Macromolecular Engineering and Architectures » are polymer chemists: they study chemistry and physical-chemistry of polymers. Their field of expertise starts from the organic synthesis of building blocks (initiators, monomers, transfer agents) and extends up to the development of polymer and composite materials. It includes the study of polymerization mechanisms and kinetics, the development of clean processes of polymerization, the polymer characterization and the study of polymers self-assembly. The targeted applications are mainly related to energy, environment, sustainable development and health. The team Macromolecular Engineering and Architectures (IAM) of Charles Gerhardt Institute is located on 2 sites: the National School of Chemistry of Montpellier (ENSCM, 8 rue de l’Ecole Normale) where it occupies the ground and 3rd floor of the research building, and the University of Montpellier (UM, Triolet site, Place E. Bataillon) where it occupies the 3rd floor of building 17 and ground floor of buildingt 15.